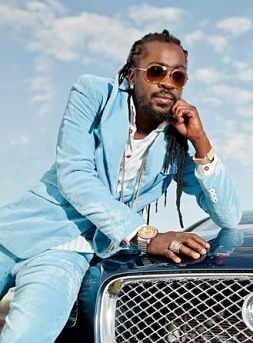 BEENIE MAN: This year he declared that he's Unstoppable, and he'll get no argument from us. The Grammy winner and dancehall living legend released his 20th solo album to positive reviews, signed on as an ambassador for Carib Shopper (alongside Denyque) and, in November, took home the first Icon in Music Award at the Ocean Style Awards Dinner in St. James, where supermodel Selita Ebanks was also honoured. By all appearances, and in spite of the detractors who want to see a new don rise, Moses Davis - superstar, trendsetter, trailblazer - is still very much in kingly character. CHRIS DEHRING: A veteran businessman with a noted innovative streak, Dehring seems most at home in the telecomms sector. That's why after departing Flow, the forward thinker set out to enter the market with his very own brand, Ready TV, which is set to become a major player in the industry. A man who knows all about laying a firm foundation, Dehring, who tapped Shaggy to share his vision, has made it clear that he's intent on eventually taking the lead. 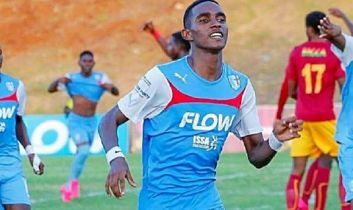 DOMINIC JAMES: Jamaica's national football programme lost a future star when 18-year-old James collapsed and died while representing St. George's College at the start of the 2016 Manning Cup season. The untimely death of this speedy and athletic Under-20 invitee elicited a wave of shock and sadness that rippled across the island and the Diaspora and prompted Super Cup sponsors Flow to name their MVP trophy in his honour. As it should, the kid's name will live on. DAHLIA HARRIS: Lennie Little-White's funny, fast-paced 2016 cinematic offering It's A Family Affair would not have been the same without Harris, who got to tackle her first big-screen lead role in the film. As expected, she did it with mucho gusto. Still a solid presence in local theatre after all these years, the prolific writer-director-producer brought to theatregoers her signature mix of humour and food for thought with Same Difference, one of the year's best, and got TV-J to greenlight the eight-part series Ring Games, premiering this month. As when she's not moulding young talents, you'll find her giving Jamaicans their morning cup of inspiration as co-host of Smile Jamaica. REV. 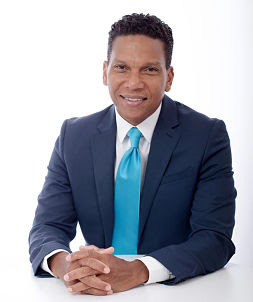 AL MILLER: Jamaicans breathed a collective sigh of relief when the curtains came down, at long last, on the Dudus/Tivoli saga, which dragged on for five years and gave Miller, brought before the courts on a charge of perverting the course of justice, arguably his toughtest test of faith. 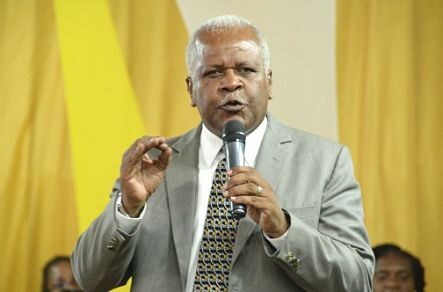 A well-regarded preacherman of strong convictions, the long-serving head of Kingston's Fellowship Tabernacle says he has no regrets when he reflects on the much-publicized ordeal, opting instead to savour the lessons that have come with such an eventful chapter in his life and continue the work of the one who sent him. USAIN BOLT: The documentary I Am Bolt reveals many things, but most compelling of all, it shows us a gifted athlete deeply committed to his sport. 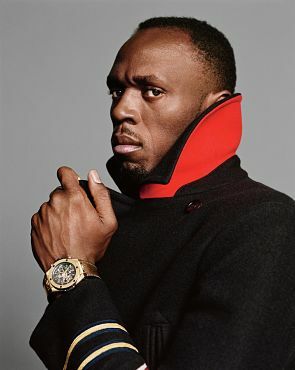 That unwavering devotion reaped major dividends for Bolt again this year, not least among them a treble of gold medals in Rio, new endorsement deals and a fanbase that keeps growing a mile a minute. 2017 brings his final major competition - the summer World Championships in London. And he says we can expect more fireworks. "I am always going to be prepared no matter how relaxed I might be. I am still a competitor," he told an interviewer. "I never want to lose, so I'm definitely going to train hard." We hear you, sir, loud and clear. SHELLY-ANN FRASER-PRYCE: When the Pocket Rocket launches her first book, Pryceless Journey, in early 2017, readers will be treated to a revealing and candid autobiographical account of her journey so far. She's had quite a life - a meteoric rise from humble beginnings in Waterhouse to her ascension to becoming the first woman to win back-to-back 100M titles at the Olympic Games. And that's only a fraction of SFP's incredible story that continues to take fascinating turns. 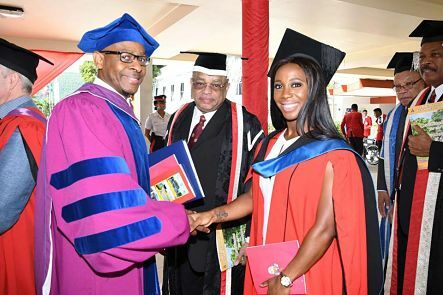 She's back with the MVP camp after a brief departure, her foundation remains committed to changing lives, she received an honorary doctorate from UWI Mona in November, and there are more championship medals on the way. 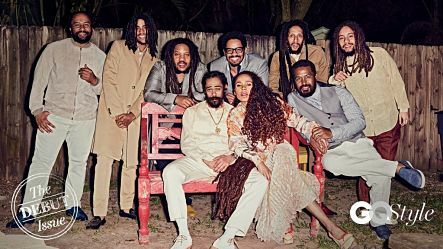 THE MARLEYS: Whether launching new enterprises from Kingston to Kenya, racking up those Grammy nods, gracing the pages of GQ or setting sail with reggae lovers on the Welcome to Jamrock cruise, the first family of reggae continues to flaunt their staying power. At the same time, Bob's talented clan (led by Ziggy, Stephen and Damian) impressively demonstrate the art of teaming up while maintaining their individual wattage and grooming the next generation of Marley messengers. That said, all eyes are on Skip, Selah and Jo Mersa, who show immense promise. 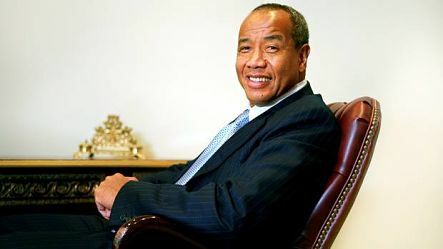 MICHAEL LEE CHIN: When time came for PM Andrew Holness to select a Chairman for the country's first Economic Growth Council (EGC), he knew who was the man for the job - the AIC head and former NCB Chair whose name has become synonymous with, billionaire status aside, strategizing for fiscal growth. And that's precisely what the country needs now. Much ado has been made about the recently announced 5-in-4 plan (5% growth for the country in four years). Is it achievable? It remains to be seen. But Lee Chin's optimism gives us hope, and with him at the helm the possibilities are endless. 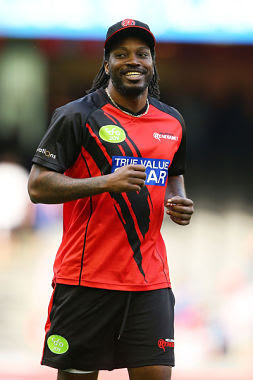 CHRIS GAYLE: Will Christopher Henry Gayle ever live down that infamous 'Blushgate' incident in Australia? Time will tell, but we admire how he's managed to advance his career since then, displaying sizzling form and showmanship whether at the crease for the West Indies or the Jamaica Tallawahs, which he commandingly led to the 2016 Caribbean title. As if that weren't enough, he published his first book, the autobiographical Six Machine, inviting us to reminisce with him on the odyssey that now has him ranked among the greatest sportsmen of his Jamaican generation. 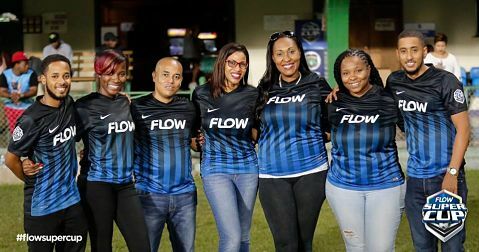 TEAM FLOW: What we like most about Flow is that, as an industry heavyweight, they have a team committed to game-changing expansion and are treating Jamaicans to products, services and events powered by quality with a capital Q. Take, for instance, the schoolboy Super Cup that has elicited the kind of euphoric "Champions League" excitement in local football not seen or felt since the Reggae Boyz qualified for the France-hosted World Cup in '98. Sports sponsorship aside, the telecomms giants are bringing smart innovation to the mobile and cable TV market, keeping us on the cutting edge of entertainment-spiked technology. 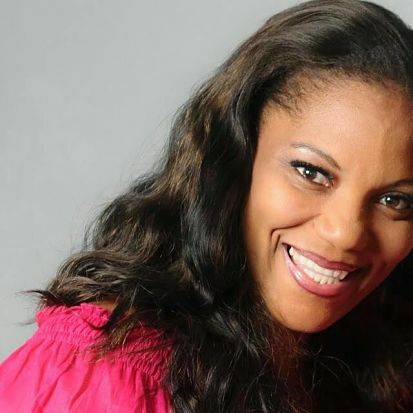 PORTIA SIMPSON-MILLER: How will history treat Portia Lucrecia Simpson-Miller who, days ago, announced that she will demit office as PNP leader before the party's next conference? Jamaica's first female head of government has always been a very polarizing figure but her diehard supporters have been the tower of strength she always needed. Now she's ready to hand over the reins to Dr. Peter Phillips, who has his work cut out for him to unite a divided house and keep Senor Andrew Holness on his tippy toes.